Project Description: The purpose of this study is to investigate the usability and accuracy of wearable devices for detecting physical activity patterns in manual wheelchair users in their natural environments (i.e., at home and in the community). You will be asked to use physical activity devices at home for 2-7 days. 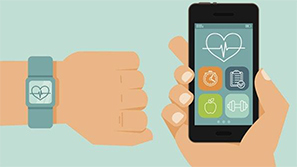 You will have the opportunity to provide feedback on the wearables devices at the end of the study. You will be compensated $25/day for your time.